Wow Your Mom with These 12 Mother's Day Brunch Recipes! 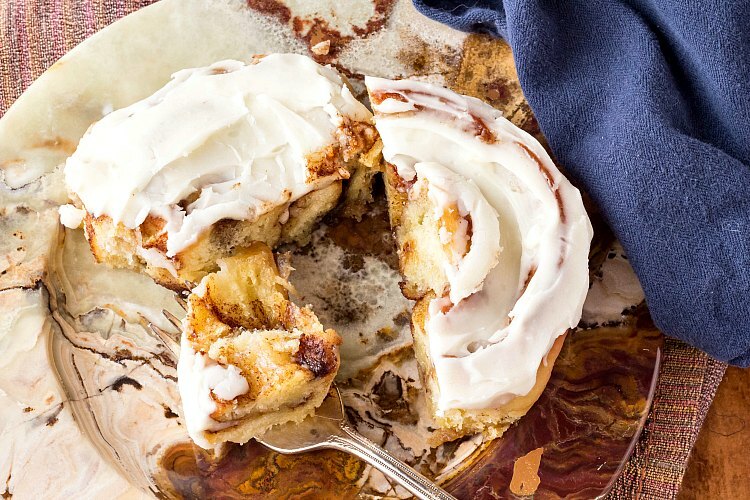 Home » Wow Your Mom with These 12 Mother’s Day Brunch Recipes! Wow Your Mom with These 12 Mother’s Day Brunch Recipes! 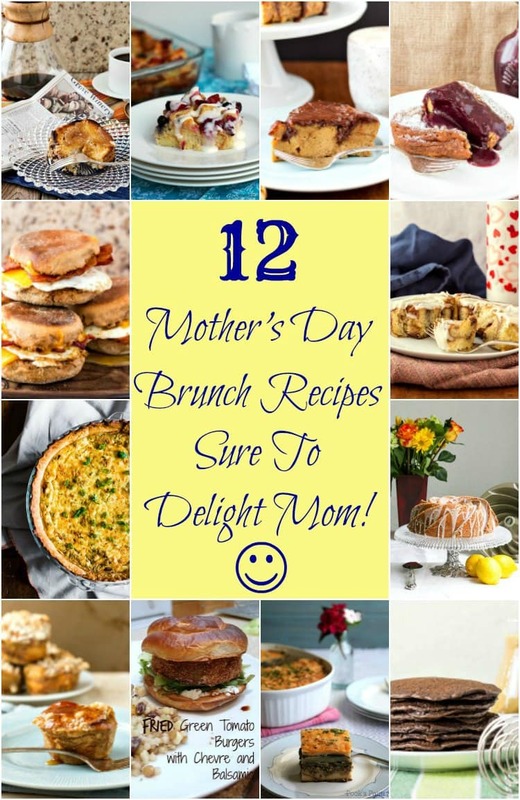 Today, I’m offering you a roundup of Mother’s Day Brunch recipes. 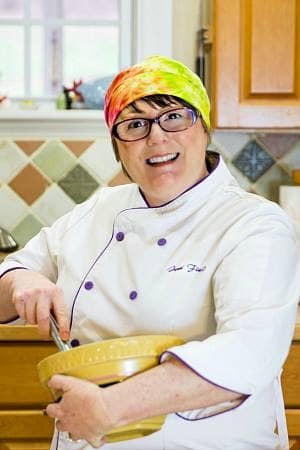 I’ve collected recipes from the Pastry Chef Online archives as well as a few great ones from some of my blogging friends that would be excellent offerings for your mom’s special day. I am a fan of breakfast foods, but I am not a fan of getting up for breakfast, especially on the weekends. That’s why I really love a good brunch. And to whomever came up with brunch as a concept, I salute you. I imagine this person just couldn’t be bothered to get up for breakfast and invented a breakfast-lunch hybrid so they could sleep in. I applaud this, and you should too. I’m splitting these Mother’s Day Brunch Recipes into two categories: make-ahead and make the day of, so depending on how pressed for time you are, you’ll be able to better manage it. 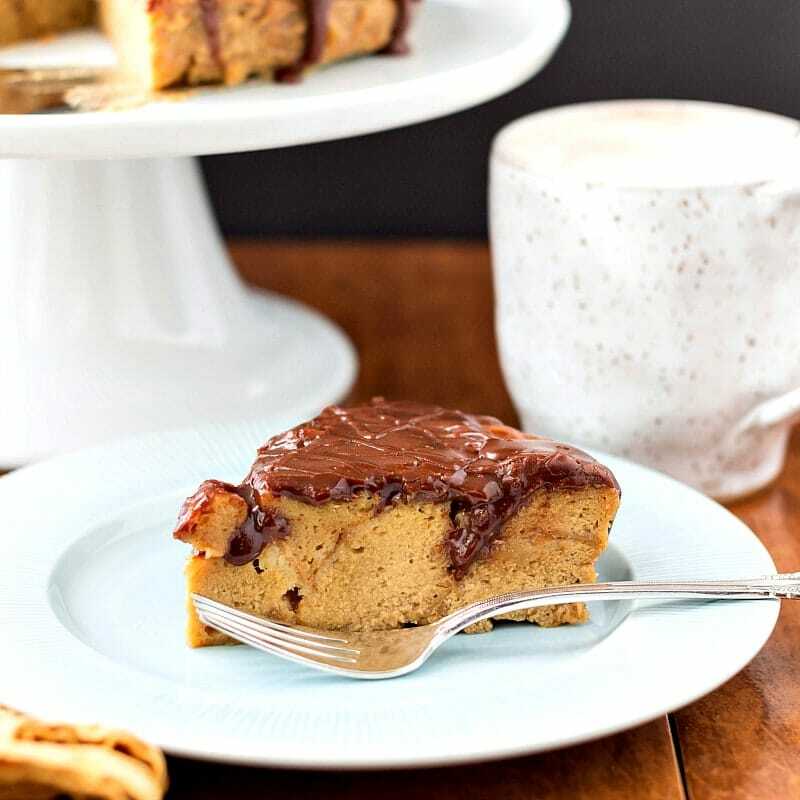 Yeasted Chai Spiced Apple Butter Coffee Cake This guy is delicious. Feel free to use storebought apple butter or even your favorite jam to roll up into this. If you’re not a chai fan, please sub in cinnamon or another of your favorite baking spices or spice blends. 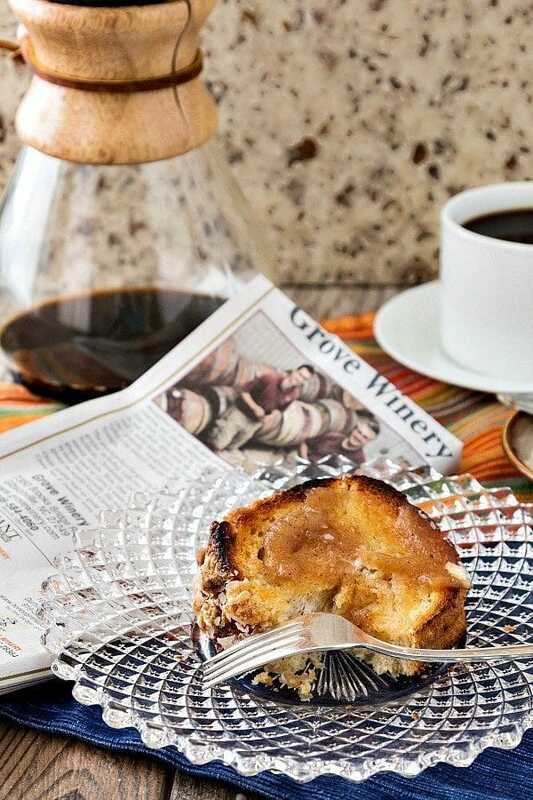 As the photo shows, this coffee cake toasts beautifully. Hawaiian Roll French Toast Muffins These little guys are wonderful and reheat beautifully. 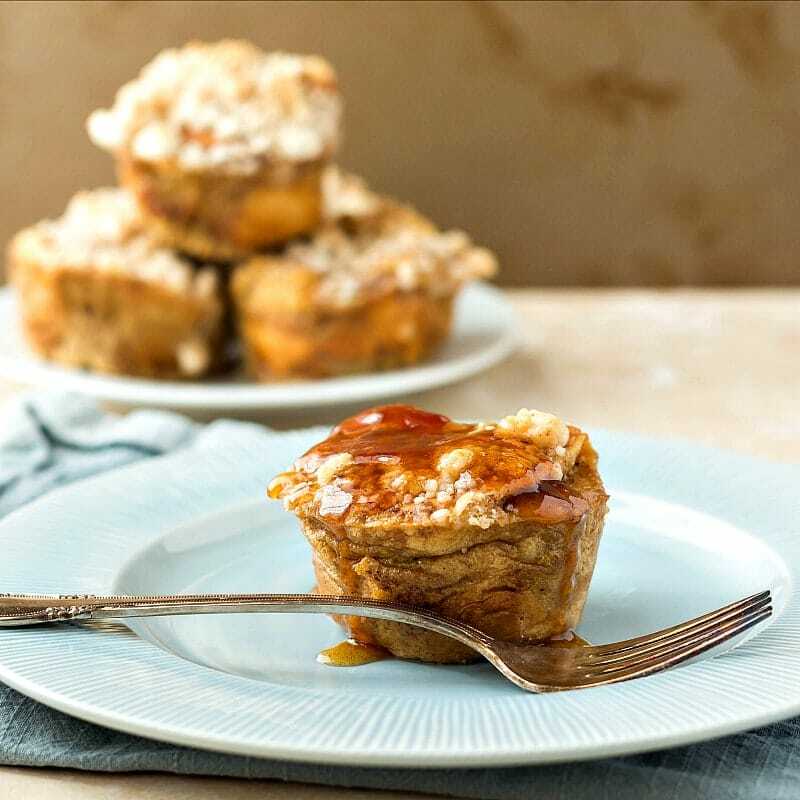 Feel free to make these a day or even two days before Mother’s Day and then just reheat them first in the microwave to heat them all the way through and then in the oven or toaster oven to crisp up the streusel topping just a bit. Chocolate Glazed Doughnut Bread Pudding with Coffee Custard Because coffee and doughnuts go together so beautifully, this chocolate bread pudding or baked French toast is a welcome addition to any brunch, especially for Mother’s Day. Make 1-2 days ahead. Remove from fridge an hour or so before serving and give it a quick warm-up in the microwave on medium power. Whole Wheat English Muffins are not very hard to make but are pretty impressive when you serve them! 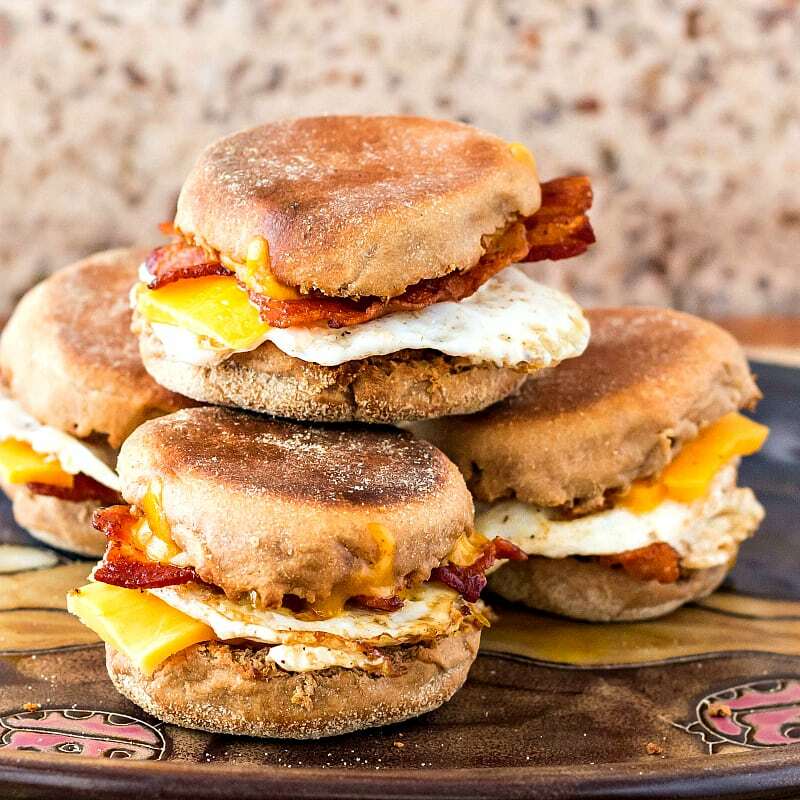 Serve with butter and an assortment of jams, use them as a base for eggs Benedict, use them as burger buns, or just make delicious bacon, egg and cheese sandwiches! Mom is bound to love them. Soft, Gooey Cinnamon Rolls with Idaho® Potatoes I gave some of these to our neighbors who declared them the best cinnamon rolls they had ever had. I’m pretty sure they’re my new favorites and my new Gold Standard. Give these a try–truly Mother’s Day-worthy! 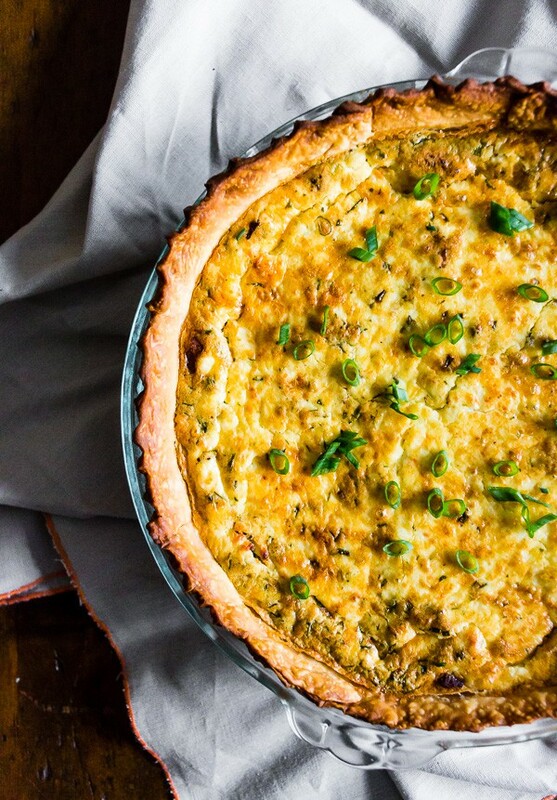 Bacon Onion Herb Quiche from Brandy at Nutmeg Nanny can either be made ahead or the day of. She says it’s ready in about an hour and can be served hot from the oven. And the flavor combination? Winner! 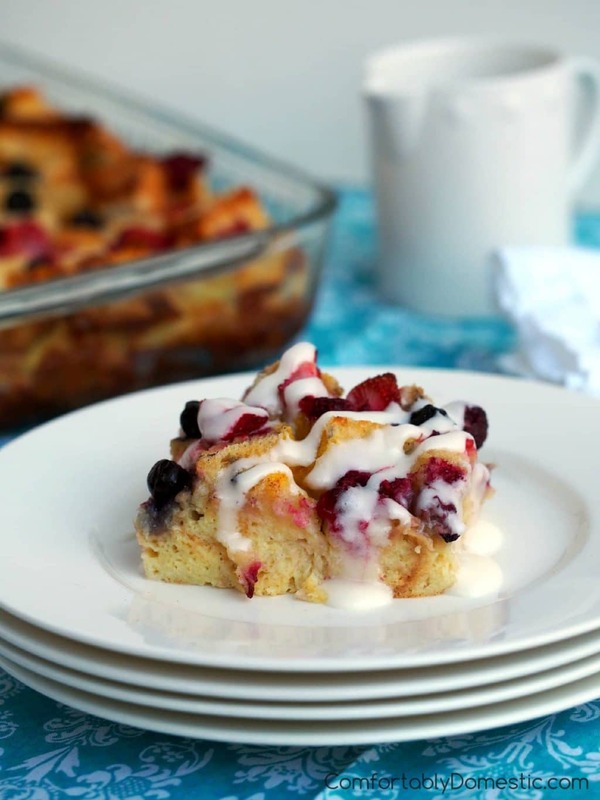 Mixed Berry Baked French Toast from Kirsten of Comfortably Domestic is a classic bake French toast with a fruity twist and a cream cheese glaze. Mom is going to love this one! 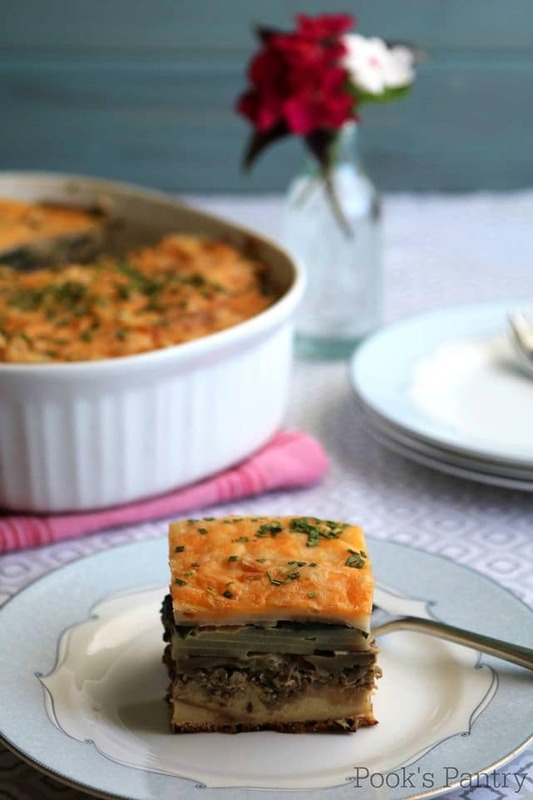 Idaho Potato Breakfast Casserole from Cheryl of Pook’s Pantry is a vision in layered delights with savory bread pudding on the bottom followed by layers of sausage, mushrooms potatoes and cheese. Beautiful when cut, too! 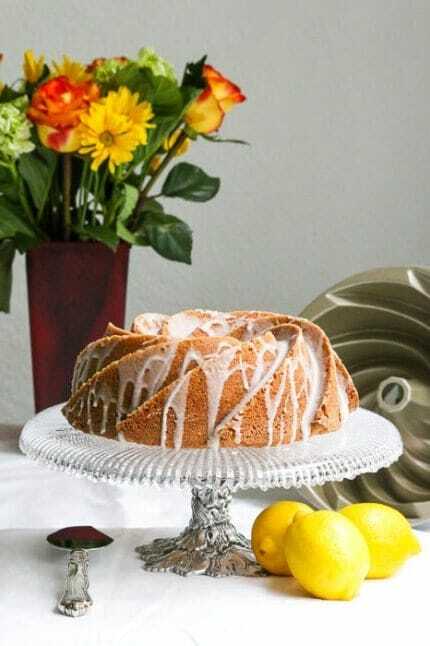 Coconut Bundt Cake with Lemon Filling from Betsy of Desserts Required is the perfect springtime, sunshine-filled cake to serve mom, because if you can’t have dessert for brunch on Mother’s Day, when can you? 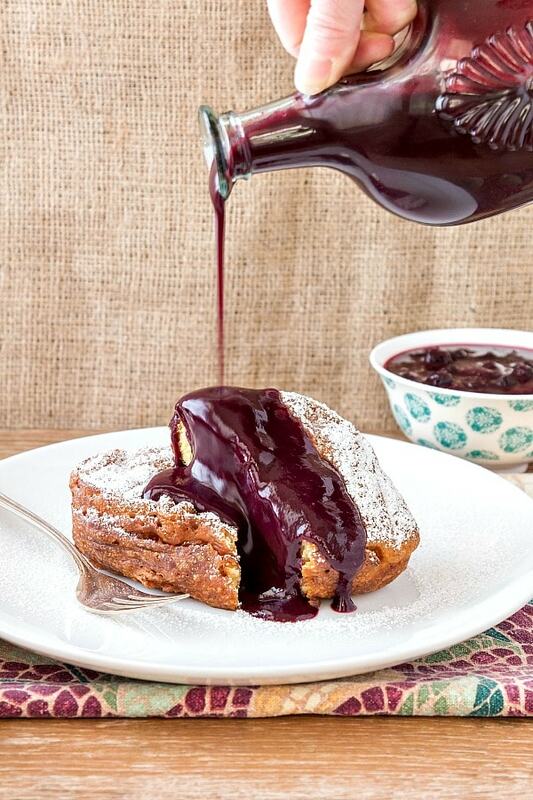 Deep Fried French Toast Yes, you read that right! Unlike regular French toast that uses stale or dried bread, deep fried French toast requires fresh, flavorful bread such as brioche, challah, or (throwing caution to the wind) un-iced cinnamon rolls. The batter is thick like pancake batter and won’t soak into the bread. It’s the soft fresh bread with the crisp fried coating that makes this one spectacular Mother’s Day recipe. Use your favorite pancake syrup or fruit syrup of your choice. Yeast-Raised Chocolate Chocolate Chip Pancakes These guys are fantastic. Make a quick, yeasted batter, let it rise and get all bubbly, and then get cookin’! 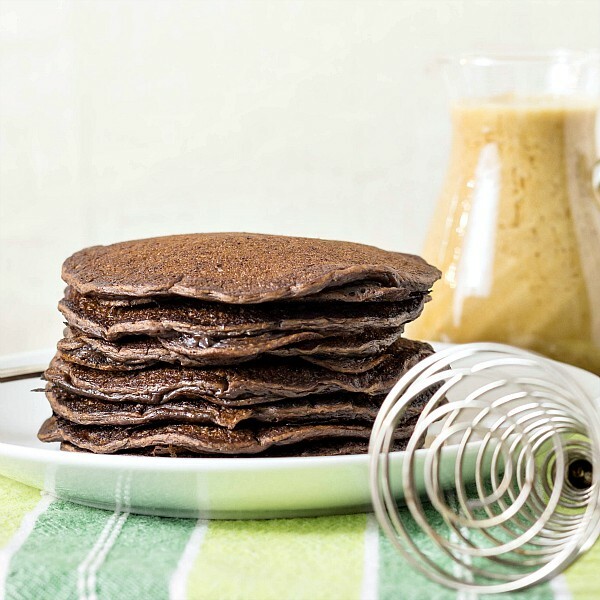 These pancakes are not too sweet, very chocolate-y, and have a nice chew. The coffee maple emulsion is perfect on them, but you can sub your favorite syrup if you prefer. Fried Green Tomato “Burgers” with Herbed Chèvre and Balsamic If you’re up to a bit of pan-frying, consider making these “burgers” with green tomatoes. The combination of the creamy chèvre, the tangy tomatoes with mellow, crunchy breading, and the syrupy acidity of the balsamic makes these sandwiches sing. 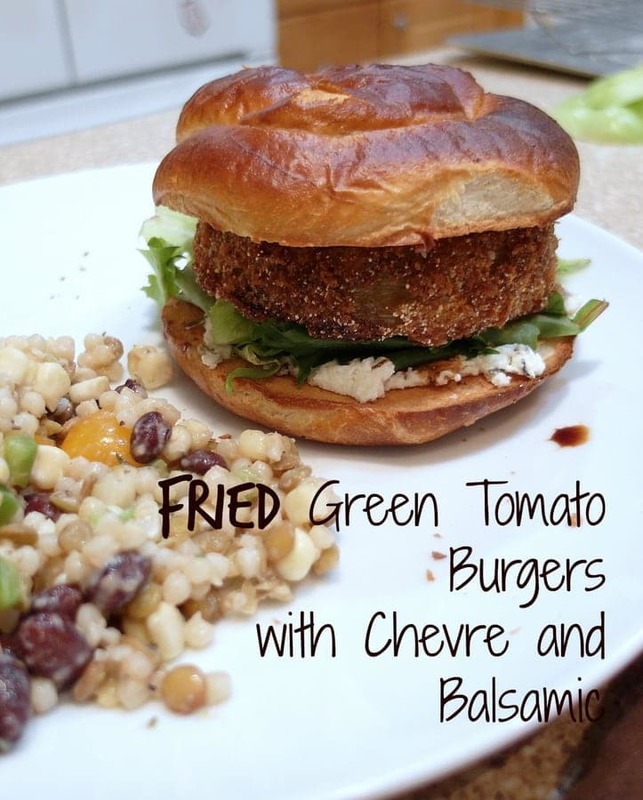 And if you aren’t interested in burgers, serve the fried green tomatoes on a bed of mixed greens garnished with goat cheese and drizzled with balsamic. Either way, you can’t really lose! And there you have it, friends. 12 Mother’s Day brunch recipes that are sure to wow! Love to all the moms out there. You have a hard job, and the least we can do is serve you a wonderful brunch. Thanks so much for spending some time with me today, and thanks to my friends who contributed recipes. There isn’t one thing listed here that I wouldn’t want to enjoy on Sunday with anyone’s mom. 🙂 That quiche looks to die for. You need to get someone to make them for you since you’re the mom! 🙂 Enjoy, Susan!